Head 2 head: Gresh V Worpel The two can kick goals, tackle and run at lighting speed, though only one can be victorious this Sunday. Who have you got? The Hawks will be hoping James Worpel can continue his strong form. Two midfielders who have had a noticeable impact for their respective sides in the opening stages of this season. James Worpel has continued to grow in comfort at AFL level in 2019, having gathered at least 25 touches in every outing so far. 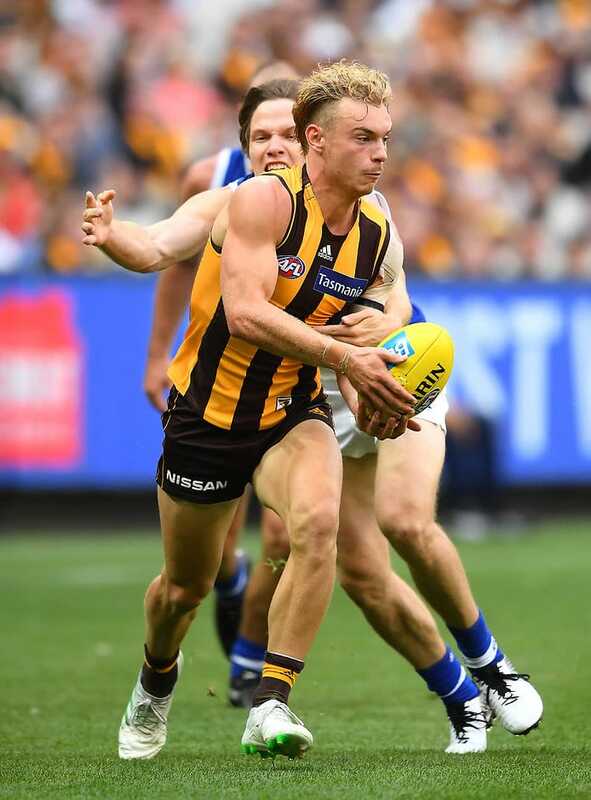 He is the Hawks number one contested ball winner after Round 3. Also taking the contested side of his game to another level, Jade Gresham has arguably been the Saints most influential player so far this year. Averaging 21.3 disposals, five clearances and 1.7 goals, Gresham is dangerous both around the contest and near goals. Expect these two players to build a fierce rivalry over the coming years. Rowan Marshall has been emblematic of St Kilda’s season in many respects. With just 12 senior games under his belt before the season, Marshall has put his name firmly in the spotlight after two outstanding performances in the past fortnight. The 23-year-old ruckman is averaging 15 disposals, 30.5 hit-outs, six tackles and six clearances over his two games. McEvoy is one of the rare ruckmen league-wide who is have a comparable influence, averaging 16.3 disposals, 25.3 hit-outs, four contested marks and 1.3 goal per game. The ruck battle will certainly be an enthralling contest on Sunday. Two midfielders that aren’t backward in coming forward, look for these two hard-nuts to go head-to-head on Sunday afternoon. Both Cousins and Steele are still forging their path in the AFL landscape, but have shown an ability to win the ball on the inside and the out. Look for these two to play important roles for their respective clubs on Sunday.